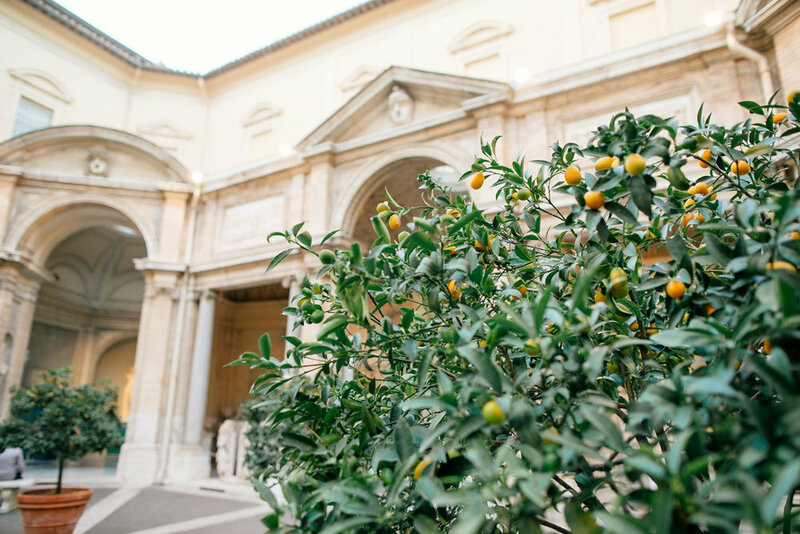 If you are heading to Italy and have ANY appreciation for art or history, you have to stop in Rome. There are several things to consider and remember when traveling to Italy in general, so if you missed our Venice Getaway Guide, you’ll definitely want to check it out! Then, you’re quickly snapped out of it when someone offers you a selfie stick for the 37th time or smacks you with an African bracelet. 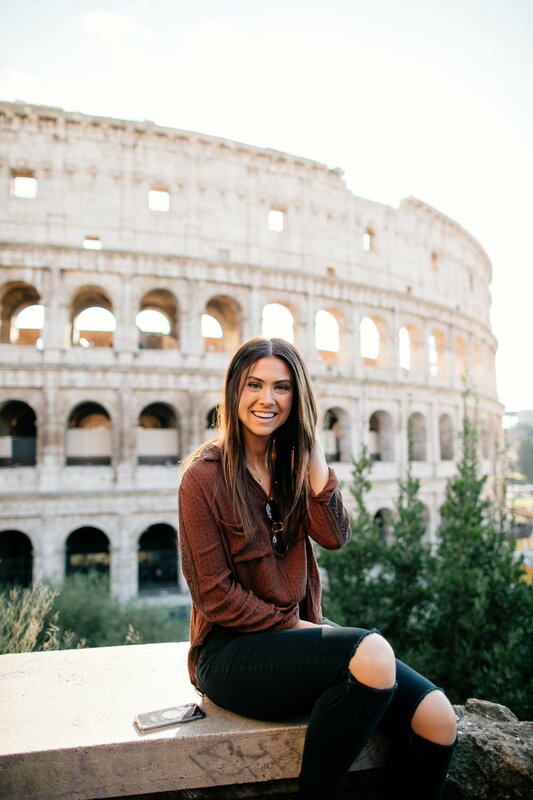 If I can get candid with you, Rome wasn’t for me. Now, I will never forget seeing such historical monuments with my own eyes, and I will forever be grateful for the opportunity. I think everyone should experience the history and the education, but apart from that aspect, the city of Rome sucked. There, I said it. (As with almost everything in travel, it’s all subjective.) I can only imagine the playground it is for history buffs and art enthusiasts; the museums, cathedrals, and ruins are never-ending and majestically beautiful. It really is incredible. What was hard for me were the crowds. Granted, crowds are my kryptonite, and can ruin pretty much anything for me, so take my opinion with a grain of salt. But there were so. many. people…and we went during slow season! Think Disney World during spring break. There aren’t regulations on pan-handling, and it’s very commercialized, so you are constantly dodging purchase requests and agendas, and it’s hard to enjoy the spectacle in front of you when you’re saying “no thank you” a million times. I think if I had been more prepared to take a full day doing allllll the touristy things, I would’ve enjoyed it more. I was just extremely overwhelmed. 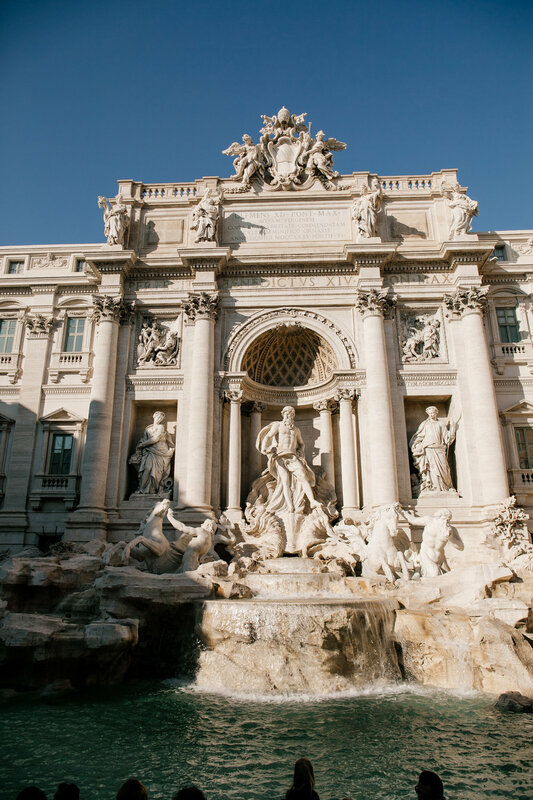 Now to the good stuff: there are so many major things to see, the Colosseum, the Roman Forum, the Vatican, Sistine Chapel, Trevi Fountain, (I could go on forever), that it can seem like you’ll never see everything. Several things only need 15-20 minutes of your time, so it’s an easy walking tour. If you have two full days, you can cover everything and not feel completely burnt out. 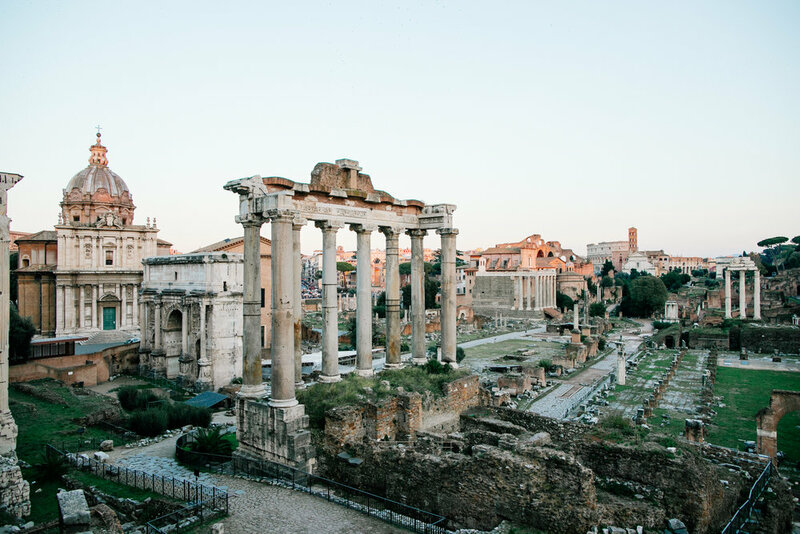 I know there are a ton of other art museums, underground explorations, and historical influences you can find and are worth seeing, but those are the four things that you HAVE to see to really experience Rome (especially if you’re on a limited time table). We really loved Rick Steves’ Audio Tours. These are free audio tours that you can find in your Podcast app. We loved his tours because we could take things at our own pace, know what we were looking at, and really appreciate the experience and history. You can also download them so you don’t have to worry about having wifi or cell service! Buy your tickets early (even if just an hour…this helped us plan our days and have some what of a schedule). Even if tickets are sold out on the main websites, be sure to check around (a simple google search will do), and you’re pretty much sure to find tickets around the time you want to go. We opted for the guided tour (through the actual Vatican Tour Company) of the Vatican and Sistine Chapel. It is quite the process to get in and incredibly confusing to navigate, so letting someone else do that was great for us. You also get to skip the lines, learn so many interesting facts, and really get your money’s worth. It’s only $20 more, and totally worth it to me. Set your expectations. Know you are going to be around all of the people all of the day. Ha. Know you are going to have to say no thank you, and know you are going to have to wait in line. Bus tickets are good for 90 minutes on any bus which means you don’t have to buy a bus ticket every time you need to ride the bus. You just need to buy a ticket if it’s been over 90 minutes. Frankly, I think Taxi’s and Ubers are worth the few extra dollars for this city. Buses are hardly on schedule, and there are so many people (and there’s a lot to see in a day), so we opted for taxis to save time and avoid the hassle. We did an authentic pasta cooking class while in Roma, and we really loved it! It was an AirBnb Experience by local chef, Veronica. The class took place in her SUPER CUTE loft kitchen and was a highlight of our trip. It was a hands on and intimate experience (only us and one other couple). We learned all about traditional pasta making and Italian cooking in general, and made 3 different (DELICIOUS) pastas for our dinner that night. We also got to enjoy a night chatting about Italy cuisine and culture, we swapped stories, learned about each other, all the while enjoying apps, wine, and an abundance of homemade pasta. We totally recommend it! You can find the experience here: The Pasta Factory Class. Ginger: great for fresh squeezed juice (trust me, you’ll need it). Not so much for food. Gelato San Lorenzo: amazing crepes with fresh gelato!! The food trucks outside the Vatican have good pizza-style sandwiches and wine if you need a snack before heading in. Have some tips for people heading to Rome? Drop them in the comments below!